This multipurpose console by Lucis Technologies is one of many cloud-based devices on the market. 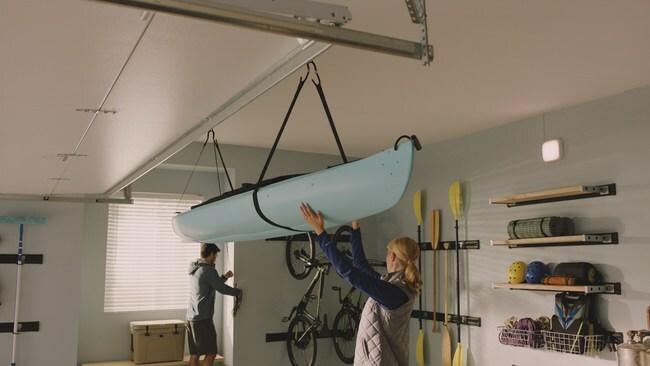 About 45 percent of renovating homeowners have added or are adding systems and other products that can be controlled with a mobile device or computer, according to the Houzz 2016 U.S. Smart Home Trends Study. 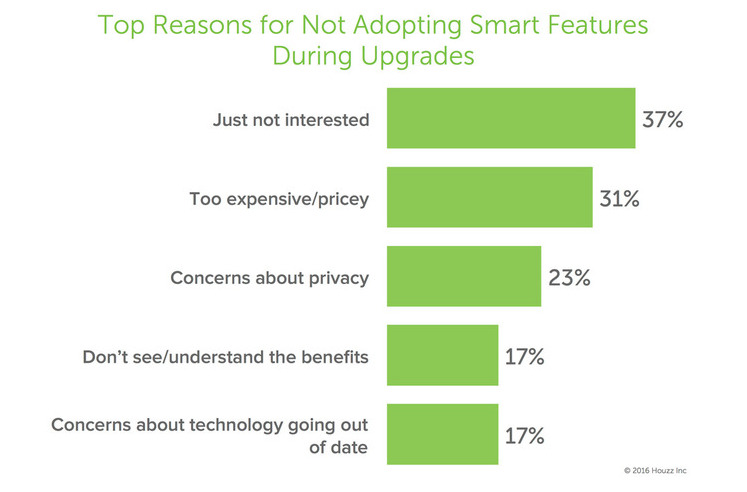 Slightly over half are not joining the smart home trend — some citing privacy concerns for their choice. 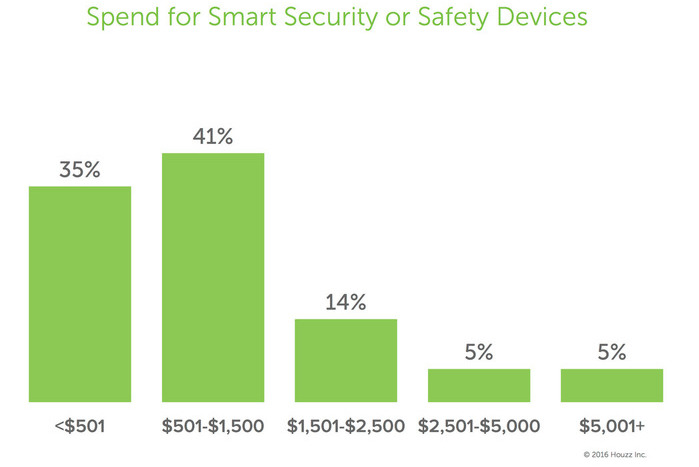 Homeowners who choose smart security technology spend more, not surprisingly, than those who choose more conventional alternatives. 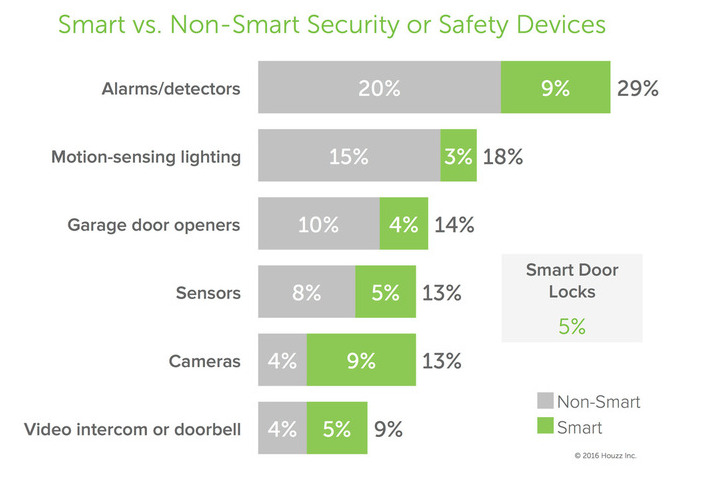 About one-third of renovating homeowners spend $500 or less on smart security, while another 41 percent spend between $501 and $1,500. 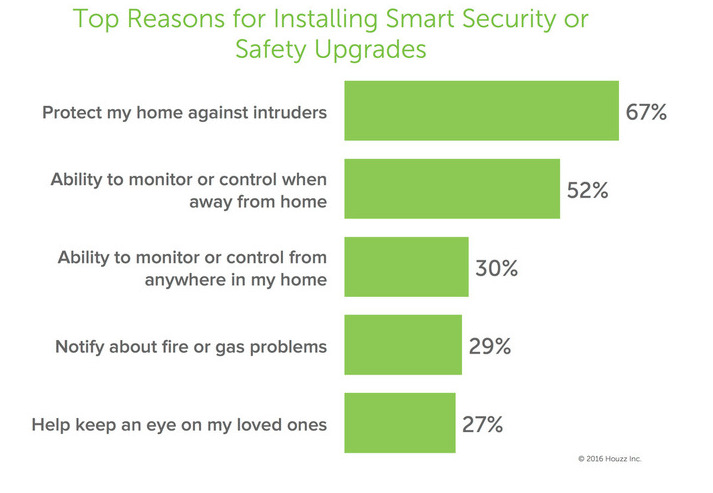 The number one reason renovating homeowners choose to upgrade to smart security is to protect their home against intruders. After that, renovators cited the ability to control and monitor their homes, both while inside them and while away. After safety, it’s all about having a good time. About 8 percent of renovating homeowners install TVs, speakers and video- or music-streaming devices that are smart — meaning they can be controlled with a mobile device or computer. 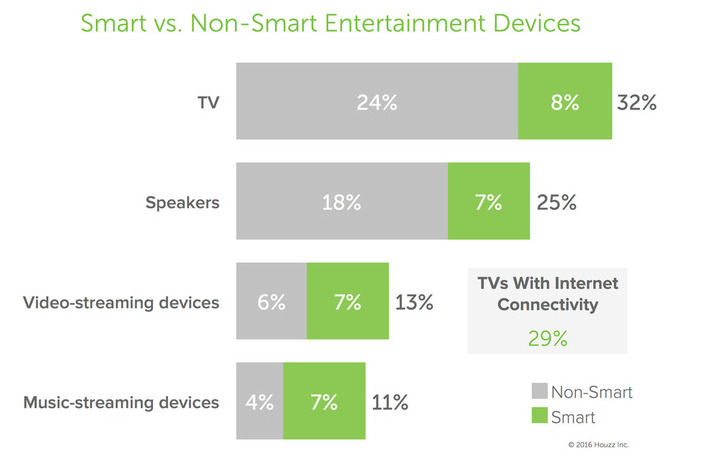 Video-streaming devices — think Apple TV, Roku — and music-streaming devices — for Spotify, Pandora and so on — are more likely to be smart than not. It’s hard to say no to a smart TV. 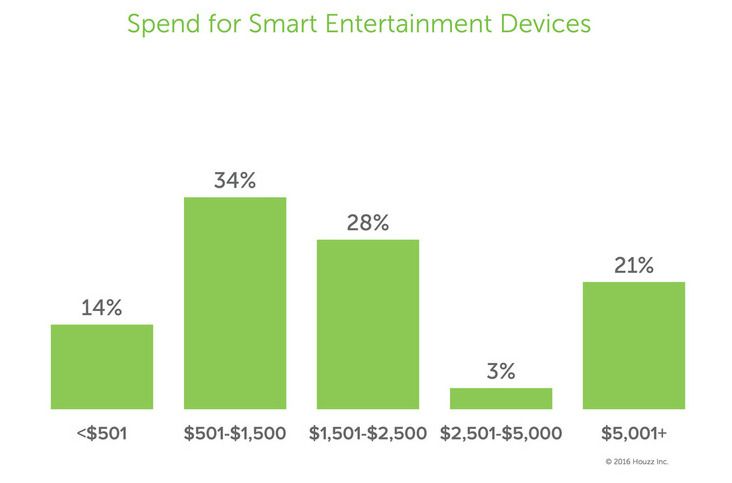 Homeowners who buy entertainment systems shell out in a wide range of cost categories. 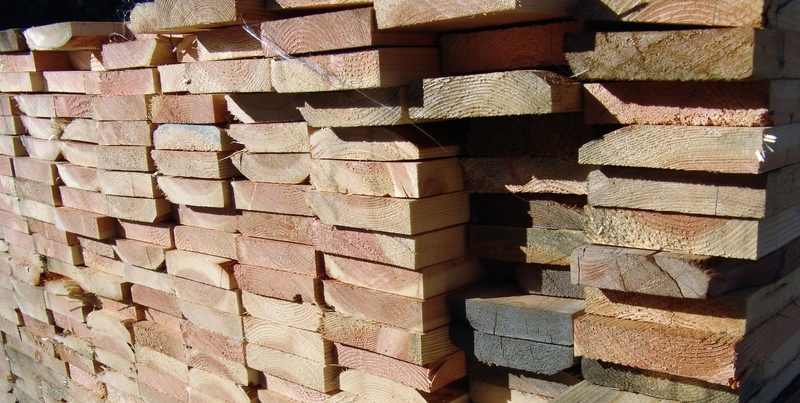 About 21 percent of renovators who opted for smart entertainment spent more than $5,000, while only 5 percent budgeted for this spending. Let’s be comfortable and save energy too. 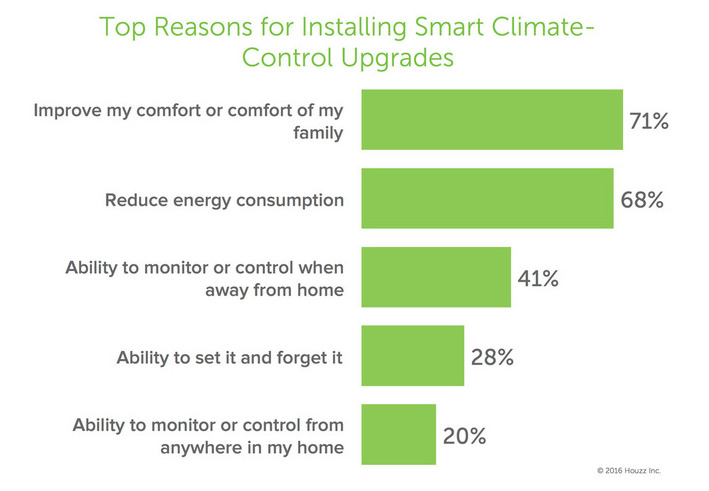 Renovating homeowners who choose smart climate-control systems or devices — most frequently smart thermostats — say it’s all about improving comfort. 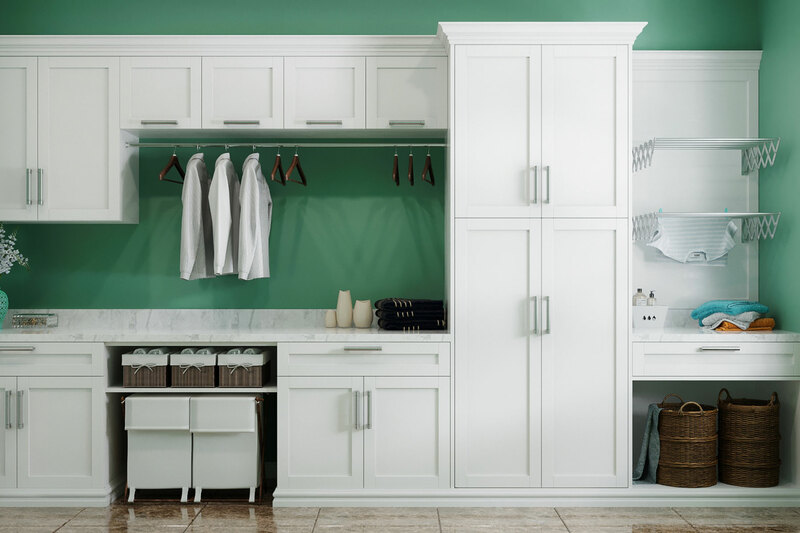 A close second is reducing energy consumption, cited by 68 percent of renovating homeowners who choose smart technology. 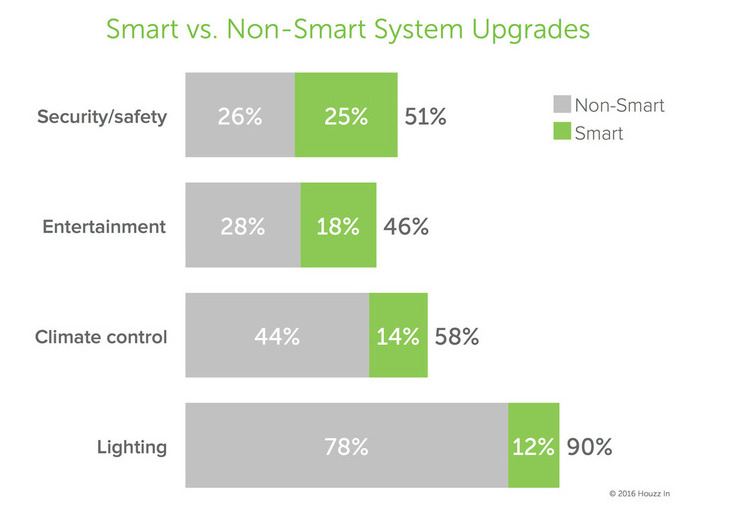 Reducing energy consumption is also a big motivator for owners who choose smart lighting solutions. Nontechie, and it’s OK. 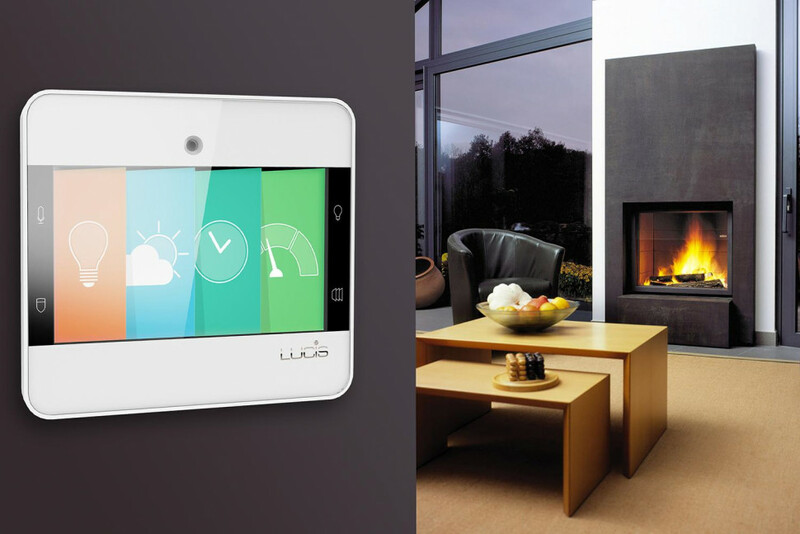 Although a growing number of renovators are using smart tech at home, more than half of renovating homeowners choose not to use smart security products, lighting or systems and devices for climate control or entertainment. Among that group, only about one-third considered them as an option. Among those who considered, about 37 percent just weren’t interested. Notably, nearly one-fourth of the entire group of nonadopters shied away because of privacy concerns.